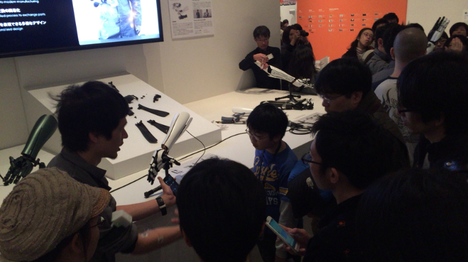 A popular annual event in Japan, the 18th Japan Media Arts Festival was held from February 4th to 15th, 2015. Besides a main exhibition place, the National Art Center Tokyo, Cinem@rt Roppongi and Super Deluxe had exhibitions and events. 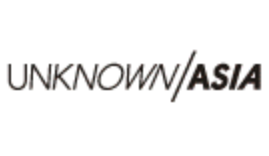 Also, a live streaming channel “DOMMUNE” supplied programs. This year, 3,853 pieces from 71 countries and regions applied for the event. In particular the number of works from Japan, 2,035 pieces, is the most on record. They were judged separately based on 4 divisions including Art, Entertainment, Animation, and Manga, and then from amongst them the top prize works were exhibited. 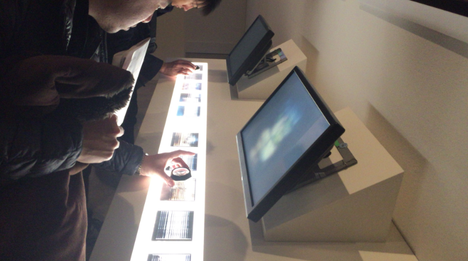 In spite of the outstanding number of art works made with the latest technology and devices, the piece “This may not be a movie” by Kazuhiro Goshima, which won the Excellence Award in the Art division, was composed of primitive media such as a twin-lens reflex camera, a bundle of optical cables, and film. This work creates not a succession of still images like conventional movies and videos, but a moving image by using a video camera/cine projector without frames. On an imaging plane of a twin-lens reflect camera, 324 optical fibres are embedded within a grid, which is responsible for 324 pixel dots, and the image is recorded on a film as information of pixel. Saturation and the change of light of each fibre are exposed as one line, and the movie is reproduced. Therefore, the movie creates a warm rough texture. This is a dynamic and ambitious work which has tried a new expressive way for movies by rethinking conventional devises and questioning the fundamental definition of “movie,” despite many recent movies seeking new technologies in order to re-create vivid reality. It was impressive that there were people who were surprised and even brought to laughter by interactive art works in this Media Arts Festival. In particular, a New Face Award piece in the Art division, “Temps mort / Idle times – dinner scene” by Alex Verhaest, created a unique atmosphere. 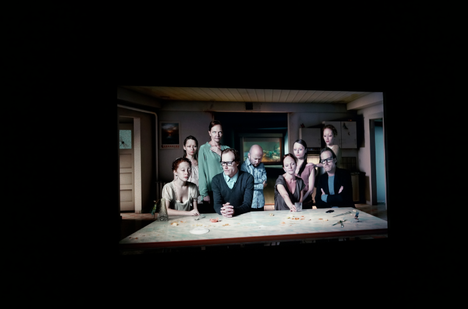 On a big monitor, there was a projection of a family scene represented classically. Around that monitor, there were other monitors projecting each family member. All of the projected images created one story. In front of the big monitor, there was a telephone number, and the family conversation began when a viewer dialed the number. 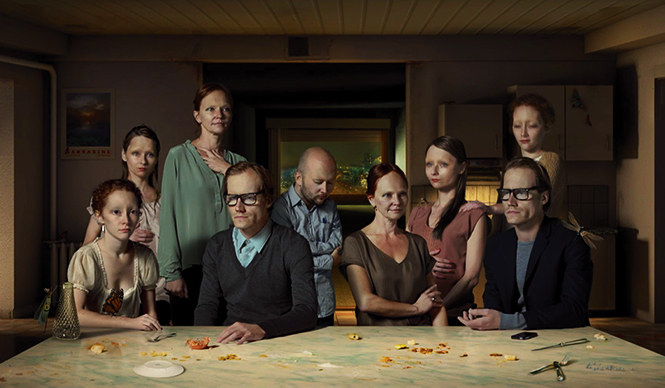 Viewers could feel that they have relationships with the family members because of the interactive behaviour of calling family members within this work. The family conversation started by viewers themselves is no longer other people’s affairs, and viewers are swallowed by the mysterious story_, as the people concerned. “Ingress” by Google’s Niantic Labs won the Grand Prize in the Entertainment Division, it is in essence a Google program. It is a mobile application for players all over the world which allows battles to unfold on their territories, but by using real places on earth including sightseeing spots, architecture, and parks. 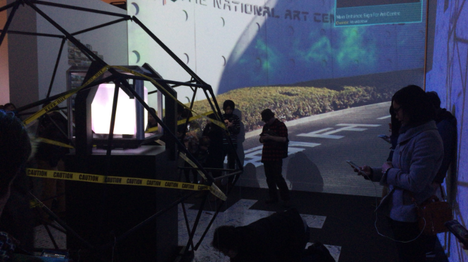 At this exhibition, 3 points of battle called “Portals” were set in the National Art Center, Tokyo, and the battles to scramble the portals by players (viewers) were exhibited as an installation. Players enjoyed “Ingress” on their own smart phones rather than appreciating it as a whole installation. The individual trial of the game complemented the work itself. For me, who did not play it, the more players who were in the exhibition space, the more fine and impressive the installation was. 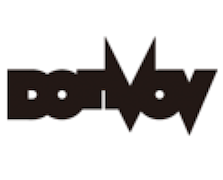 A piece which won the Excellence Award project in the Entertainment division, “Noramoji Projec” by Rintoro Shimohara, Naoki Nishimura, and Shinya Wakaoka, was also interesting. 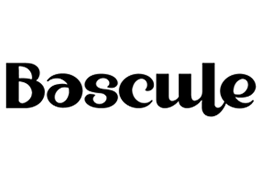 In this project, the old fonts used on the signs of local stores, known as “Noramoji,” were analysed and turned into fonts to be available on a computer. 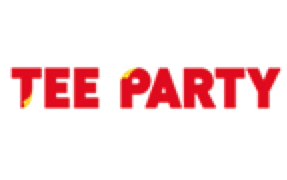 The fonts were also uploaded to the internet, and anyone can download and use them. 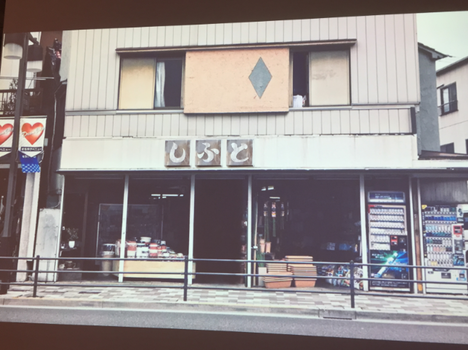 During this festival, a photo of a store with a sign was projected on a screen, and on the signboard people could put words with the fonts with whatever they like through a keyboard. It is pretty common to project photos and movies of old shopping streets and retro signs as nostalgic pieces. However, this word is different. Even those old signs made by nameless artisans could remain in our lives by being captured as “fonts” which become familiar to people using computers in ordinary lives. “handiii” was awarded the Excellence Award in the Entertainment Division, it is a myoelectric prosthetic hand utilizing parts made by a 3D printer and smart phone, which offers “flexibility and choice”. A myoelectric prosthetic hand is reproduced for people who have lost limbs; they can use these new limbs by using the slight electric potential that human bodies have. Until now, many prosthetic arms have imitated human skin color. On the other hand, “handiii” has several choices of color and parts, so it has an element of fashion. Moreover, it has expansion potentiality such as attachment of an IC chip and microphone on fingertips. It kind of has the actual possibility of being a hand that transcends human hands. Recently wearable devices such as watches and glasses have been developed, while “handiii” has a beautiful form, which does not only function as an artificial limb, but also allows people without limbs use this as an alternative wearable device. 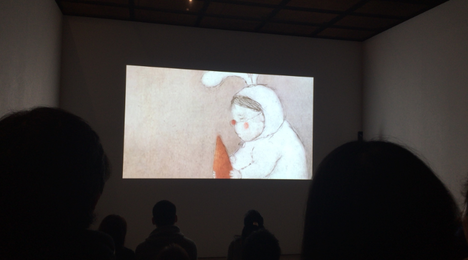 The Grand Prize in the Animation division was “The Wound” by Anna Budanova, a story about a girl suffering from a mental wound. In this story, a shaggy creature called “Wound”, made by the girl in her mind, appears as an incarnation of an emotional wound, and they both grow up together. Energetic lines and sounds moved the viewers, and the change of the size of Wound conveyed her emotions directly. In one scene where she sits together with Wound around a table, the size of Wound is the same size as her emotional wound, and she seems to accept the size itself as being like her life itself. “Crayon Shin-chan: Serious Battle! Robot Dad Strikes Back” by Wataru Takahashi, was awarded the Excellence Award in Animation, and is a sophisticated movie that both children and adults can enjoy. Even though the theme focused on paternal rights in society and the father’s identity in a domestic situation is universal and serious, it is very balanced because of a comedic touch which suppresses serious issues, introduces laughs, and leads a moving ending at the end. It is not only the story, but also the smooth movement of characters and fictional portrayals originated in animation which are also attractive. Especially, the last robot battle scene, designed and drawn by Masaaki Yuasa, was outstanding. Although the setting of the scene was funny and nonsensical, unique lines, touch, and colors glued people to the screen. It is not too much to say this is a new state of a robot battle scene on animation. 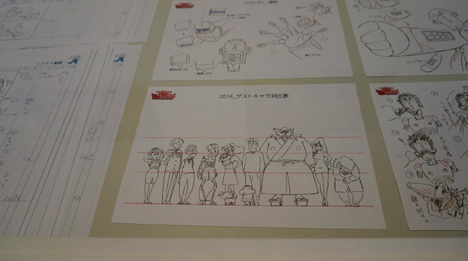 Crayon Shin-chan, which is a long-running animation, tries to create an epoch-making trial. The enthusiasm of the creators is splendid. 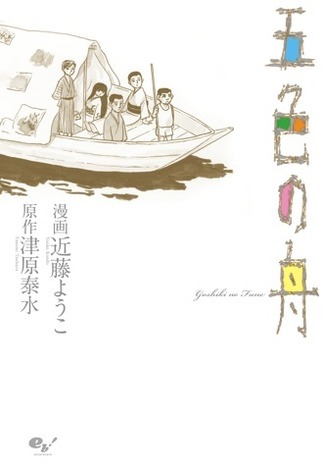 The Grand Prize in Manga, “The Five-Colored Boat” is a comic that Youko Kondo drew from Yasumi Tsuhara’s original fantasy masterpiece. Set to the back drop of the end of the Pacific War, the future of “family” organized by deformed performers who live in a freak show is depicted. The situation, such as Hiroshima under the war, a freak show, and deformed people, sounds heavy. But this family’s desire to live and their stubbornness make me feel refreshed. The detailed expression of the emotions of the characters drawn by Youko Kondo creates an elegant fantasy. This year marks 70 years since the war, and probably the media will report about the Pacific War again in several forms. Under these conditions, this Grand Prize in the Manga division teaches us the way to tell the war through manga. The impressive point in this festival was that people unconsciously share their daily lives and behaviour with artworks through interactive acts between viewers and works. That’s why viewers understand and are carried away by art, and then are betrayed comfortably. Through these kinds of art, they discover something new, and even after they have come back to reality, they feel a different sense toward ordinary life. When I visited the festival this time, it was so crowded that the entrance was limited. But, I hope that many people enjoyed the Japan Media Arts Festival, which provides new discoveries and surprises through the work of creators from all over the world.